I get a lot of questions about growing corn in the Pacific Northwest, where our weather makes this a challenging endeavor at best. We usually don’t get much heat until after the 4th of July, and even that is relatively speaking. Living close to the water, we get a lot of dense, damp air, and later in the season, a lot of morning fog, which can make the mold really happy in the hanging garlic. The incessant wind rolls the swells in off the coast, which is great if you are a cold-water surfer or into collecting Japanese tsunami debris, but not so much for gardeners. I hardly call myself an expert, but I’m happy to share what has worked for me during a less-than-optimum season – e.g., last year, which really sucked, quite frankly. And to blow the ending for you – we still got a LOT of corn. First off, I started my corn early in a greenhouse – early meaning end of May. It isn’t a very big greenhouse. I have a love-hate relationship with this thing that is either a plastic suffocation chamber or a somewhat-effective shelter from the cold – no mid-ground. The idea is to get them warm enough to germinate. Once they get going, they can handle a fair amount of cold, but if it’s too cold and wet to start, they just rot. You will need 75 or so little pots if you want to plant them individually. Experts say to plant at least a 4’ x 4’ bed, which, to me, is absolute bare minimum. Ok – So I didn’t have the pots and so I planted the seeds in a shallow tray – which was a bad idea. The roots grew very long very quickly before hardly anything showed above ground. Before long, I had a good 100 plants looking for a bright future and a tangled mess out of sight beneath the soil. My point being – starting them in the greenhouse to get the warmth for germination is a good idea. Starting them too soon is not. You need a lot of plants for a plot. Trays are not a bad idea, but keep in mind, by the time you see a sprout, they’ve already created an underground network worth respecting. You might be able to save yourself a lot of trouble by waiting until about now, planting them directly outside, and heating up the ground for a few days with a plastic covering. Next – where to plant them. Hopefully you’ve thought this out ahead of time. They need full sun and lots of it. They need good soil – make that great soil. They are nutrient hogs. Last year, I had a 25-foot-square plot available where I had grown garlic the year before. In March, I had planted a bunch of fava beans there to put nitrogen back into the soil. My plan was to plant the corn in the fava patch and cut the fava back later when the corn got high. In the meantime, the fava might offer some protection and eventually, nitrogen. You don’t want to plant the corn in a long lonesome row – they grow best surrounded amongst friends. Some people grow them in clusters; others on mounds; others in blocks of rows; others in beds. Me, I planted mine in a spiral. Yes, a spiral. I was tired of rows and squares and boring blocks of this and that. I took an old hose and wound it around on the ground and on June 16, transplanted a plant every 12” or so, cutting off favas if they were in the way. I started in the center of the plot and worked outward, not expecting to fill the entire space. We gently separated the roots, put about 90 plants in the ground, and lo and behold, almost every single one made it. I like the Three Sisters idea of planting corn with squash and beans. It makes so much sense to have the beans give nitrogen to the corn, while the corn provides a pole for the bean to climb, and the squash sprawls out over the ground, conserving moisture, suppressing weeds, and attracting pollinators. It’s the kind of harmony that makes me want to put flowers in my hair. There’s only one problem. Well, actually, a few. The beans don’t release the nitrogen until they die, which is great for next year, but not this one, and in the meantime, they, too, need nutrients, water, and light, which the corn is already hogging. Plus, it might eventually get difficult to harvest the beans in a corn thicket. The squash might spread across the floor, but it doesn’t necessarily block weeds – it will, most definitely, block your ability to get in there and take care of things. 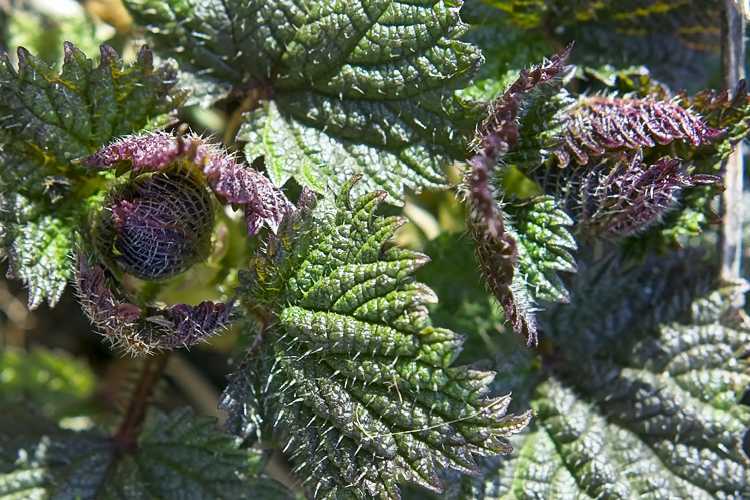 I decided against the 3-sisters idea in the strict sense; however, I still liked the idea of incorporating some companion-planting concepts to our mutual benefit. 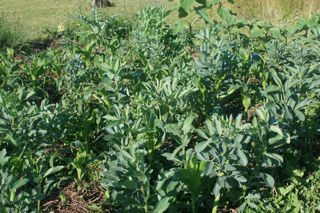 The favas were ideal because I could cut them back mid-summer, at which time they would start releasing nutrients right when the corn was at its hungriest and right when the mulch was most appreciated. As the corn grew, the spiral effect was lost in a jungle of stalks and leaves. Dense and beautiful. Still enough room to squeeze through, water, and gently hoe while they were still young. I planted peas and red runner beans on the northern edge of the plot. The peas ran up a mesh support, which is the kind of fabric they like to cling to. Beans do better winding up a pole or rope, which we also provided. Both took advantage of the part sun/part shade conditions, attracted pollinators, were not lost in the middle of the corn patch, and didn’t get in the way of the corn growth. On the eastern side, catching the warming rays of the morning sun, I planted what I thought was a clumping squash but what ended up being a prolific wandering type. 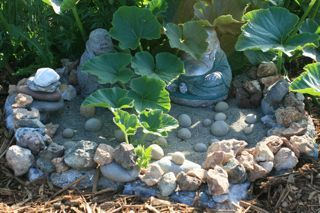 “Sweet Mama” pretty much took over that whole end of the garden, wandered up and over the great Buddhas and out into the pathways, but didn’t really block any weeds, weeds being the persistent opportunists they are. 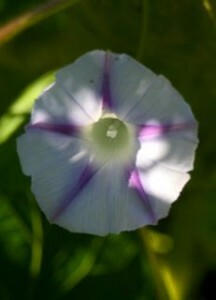 Also on the eastern side, a Goumi berry, a strawberry tree, and a Cornelian cherry, each relatively new and still on the small side – a few bush beans and peas here and there – and a climbing morning glory of the domestic kind, just because. 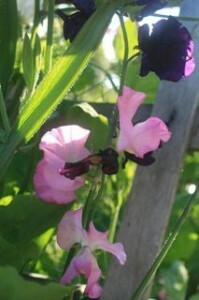 On the southern side, we had sweet peas – glorious sweet peas growing up and through an A-frame made from a couple of old short garden fences, which served as a secret entrance to this part of the garden. They were fragrant, colorful, and wonderful in every way (seeds from Renee’s Garden). 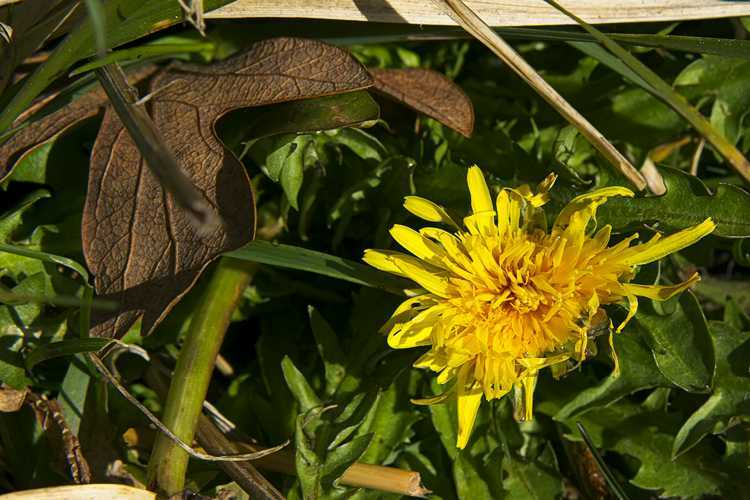 We also had an assortment of Mexican Marigolds, yarrow, lavender, borage, cardoon, chamomile, sage, hyssop, Saint John’s Wort, costmary – mostly things that attract and repel insects and don’t require a lot of care. Great plants for the edges. Not something I would normally plant with things needing heavy nutrients and water, but they were already there and easy to ignore and also appreciate. 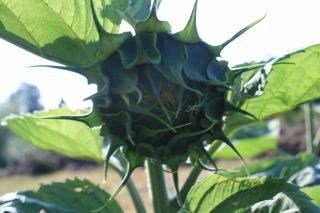 But the grandest of them all were the sunflowers we planted on the west side to serve as a windbreak and also in memory of my mother, who is in a grander garden these days. These Gargantuan Mammoths were gentle giants, and like the corn, shallow rooted and a bit needy. Oh – but talk about spectacular! They stood tall, like trees. These things were in-your-face outstandingly beautiful, and as they turned their heads with the sun, they were turning heads from across the acre. But would they stand up against the wind? In previous years, the Westerlies have been strong enough to blow over my entire patch of corn. I remember watching it ripple and sway like waving grain, and I knew it was an easy target. In some years, my garlic has actually grown at an angle. Definitely a force to reckon with. 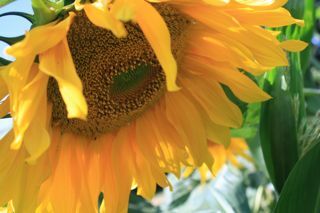 So I was not surprised when some of the sunflowers fell under the onslaught – but I planted enough that many made it. Importantly, they really did their job – probably one of the more effective techniques I used all year. I worried that they would block too much of the afternoon sun, but the corn seemed to do just fine. In fact, it did more than fine. It thrived without the wind stress, but still received enough wind for pollination. Despite the cool weather, we got an outstanding crop. Mine was not the first in the neighborhood, so no bragging rights there – but once it was ready, we were eating it nearly every day even into fall and with plenty to share. 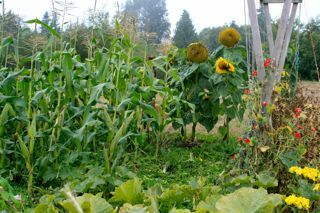 Late summer corn; peas and beans are about done; sunflowers form seeds. I can’t say I took care of the corn all that well. After all, I had a huge garlic crop to tend to. I sprinkled a little blood meal around the stalks a couple of times in the season. I occasionally watered. Early on, I pulled weeds and threw them back down on the soil as mulch; later weeds grew again and I just covered them with favas. I certainly didn’t try to make everything perfect. It was fun wandering in circles, something I’ve done most my life. Am I planting a 3-sisters idea this year? No. The corn is too much of a nutrient and space hog for what I have going now. We never eat all the squash I grow, and it’s relatively inexpensive at the farmer’s markets. I am replenishing the soil with more favas and buckwheat cover crops. 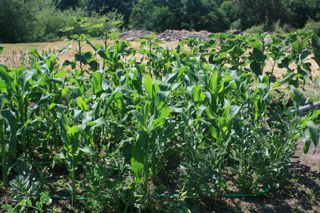 Other potential places for growing corn are already taken with flowers and berries. I planted some sunflowers along a south-facing fence near the beehives, where they will be more protected and appreciated by buzzing friends. Did the three sisters idea work? Mmmm – jury is out on that one. I didn’t follow the guidelines. My corn was still grown mostly as a monoculture within a polyculture plot, and I still think it grows best grouped with its own kind. It’s certainly easier to take care of that way. The temporary inter-planting with the fava beans, though, worked extremely well. I let a few mature to save my own seed, but most of them I chopped and dropped. Additional companion planting around the perimeter also worked. Overall, I consider the effort a success. We harvested lots of peas and beans; I turned leftovers back onto the soil. 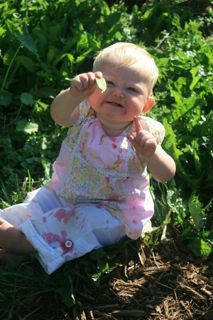 Sweet Mama was beautiful, productive, fun – but not much of a weed suppressor or water conservationist. Squash are thirsty plants. I like having the assortment of herbs and flowers around the edges — I didn’t have any problems with insect pests and noticed lots of ladybugs here and there. 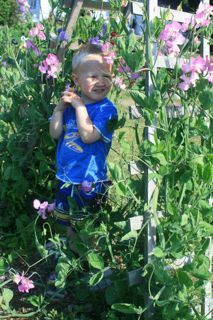 The sweet peas were as fragrant as they were gorgeous. 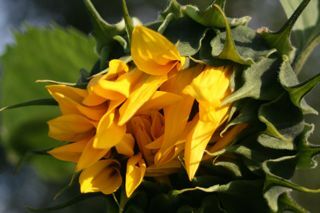 The sunflowers fed the birds much of the winter – and we ate some, too – and they were certainly outstanding in their field. Amy says planting pod peas again would be good! I still like the idea of using corn as bean poles. It might be fun to experiment with planting several corn plants together in separate mounds with climbing beans around the circle, but it would probably be more beans than I would need. Allowing wide pathways for the squash might put the corn mounds too far apart. I would probably worry about whether the corn would get pollinated, which is the main reason for planting it all together in a dense patch in the first place, other than for emotional support, of course, and also to be able to stand up against the wind, which even then, is not always possible. Every season I try something a little different. A few downfalls – a few spectacular surprises. It’s all good. I know folks around here grow fields – even mazes – of corn – mostly in more protected areas than mine and with lots of open space and sunshine. I will support their operations this year. Even so, there is something about picking it fresh and dropping it 5 minutes later into a kettle of boiling water or roasting it on the grill – nothing quite like it. I just might have to start building the soil in a spot for a mound experiment for next year. Would love to hear what has worked for other folks out there!